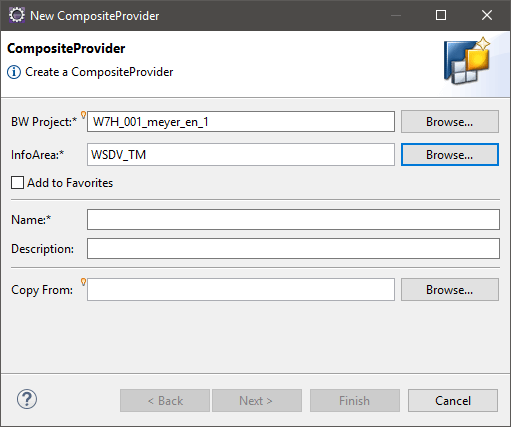 If you want to create a Composite Provider in the BW Modeling Tools, you have to choose New >> Composite Provider in the context menu of your InfoArea or File >> New >> Composite Provider. 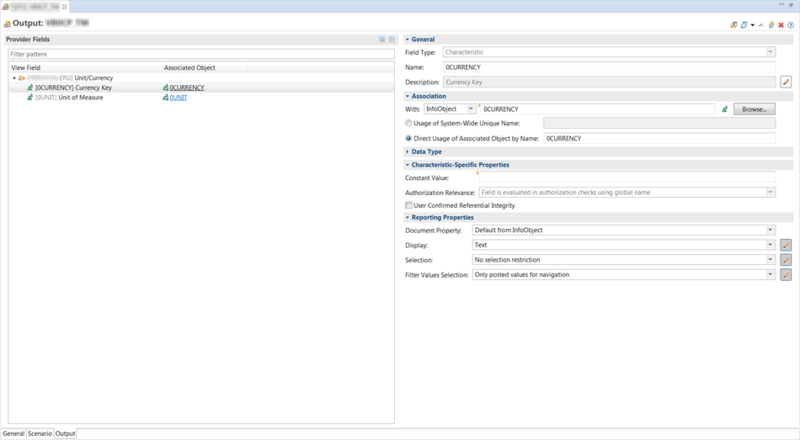 After you choose the CompositeProvider, a new dialog appears which allows you to define the InfoArea, Name, Description and if you want to copy it from another CompositeProvider (HCPR). You can add it straight to your favorites if you want. 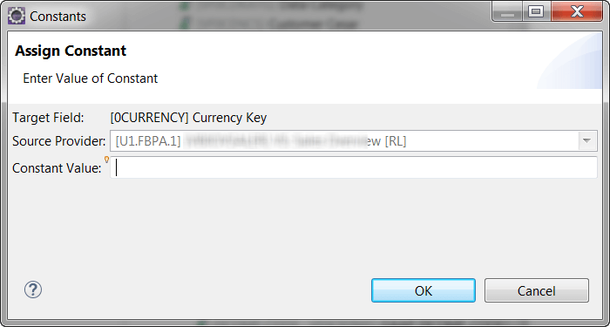 After you defined a name and the description, you can click Next to get the dialog to select part providers. You can choose between Join Providers and Union Providers. Either all Part Providers are treated like InfoCubes in MultiProviders or you choose Join Providers to join your Part Providers like an Infoset. Use the search to find your part provider. After you found it, click OK and Finish. You now see the General tab of your Composite Provider. 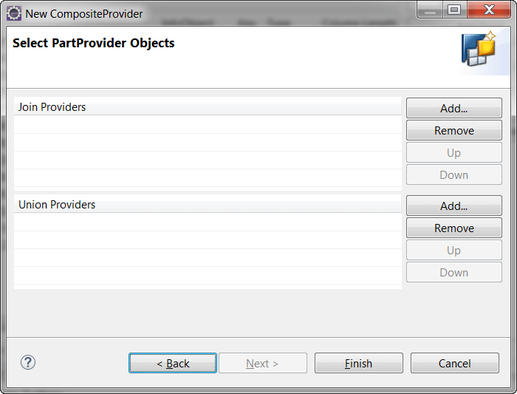 On the General tab you can configure settings of your CompositeProvider. 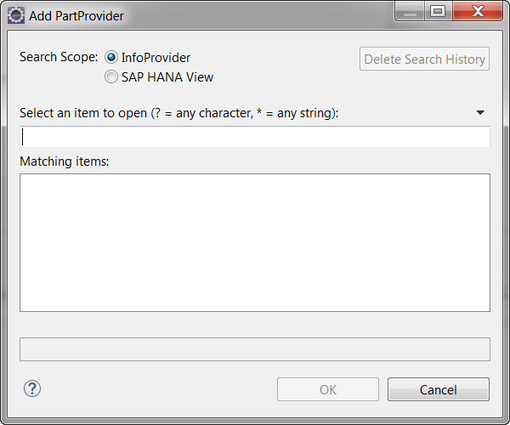 You can decide if you want to create an External SAP HANA View, to use your CompositeProvider with a Calculation View for example. 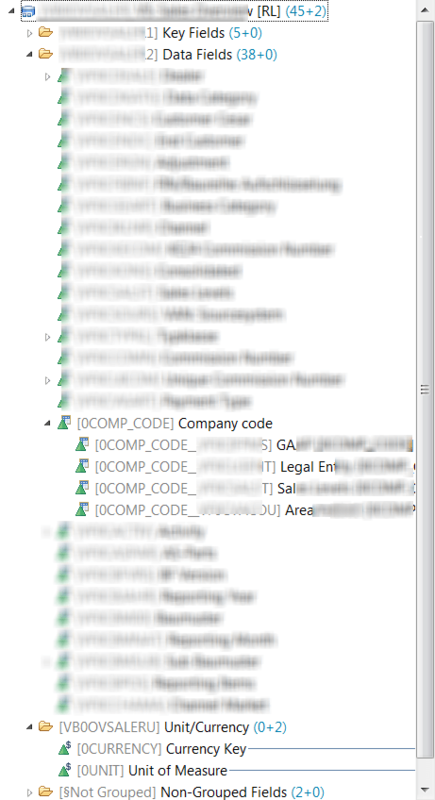 You can also define if your CompositeProvider can be added to another CompositeProvider. This will be decribed in this blog post. You can define the common runtime properties and the runtime profile properties. The Scenario tab is the main thing when you create your CompositeProvider. You have to assign your source fields to your target fields. Like the above an 1:1 Mapping or you can assign a constant value via the context menu of your target. 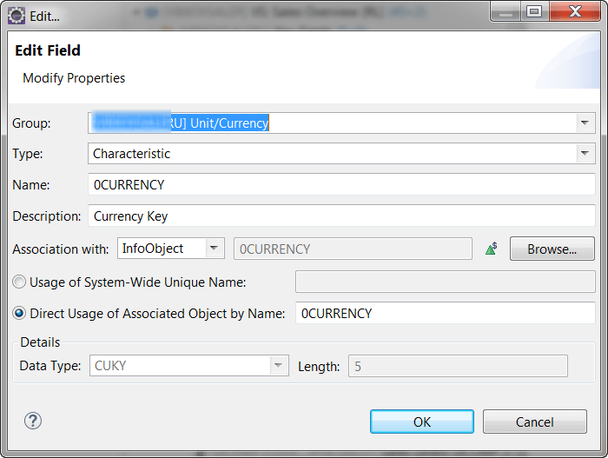 Or you can use the context menu to edit a field and its properties. 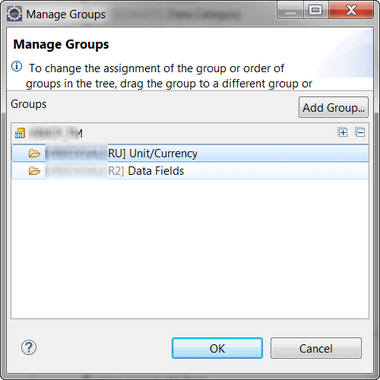 Or you can just remove the assignment and a false field. 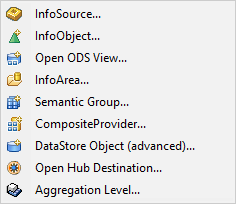 It is your choice ;) If you select your part provider in the source panel, you receive the following context menu. If you choose Show Unassigned Navigation Attributes, you can see the navigation attributes of an InfoObject and assign it to a characteristic directly. This topic is different for BW 7.4, so I cover this in a separate post. 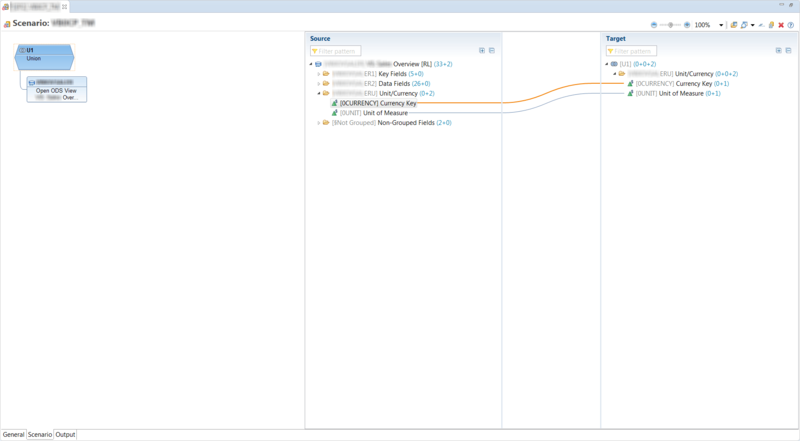 The following screenshot shows how it looks like when you have BW 7.5. 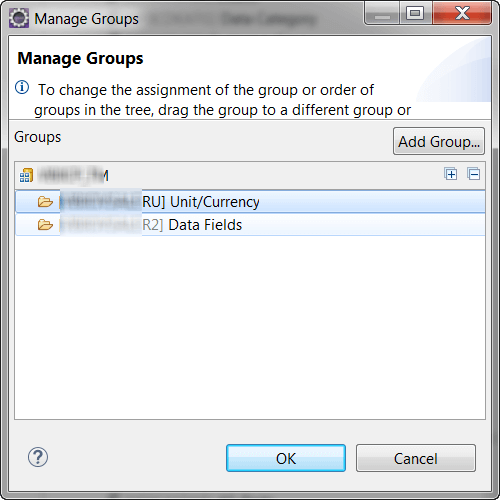 You can also rename and delete or create the groups of your target so you can find your fields easily in your query. The next part is the Output tab. On the output tab you can define several things for an InfoObject. Select an InfoObject and the following screen appears. 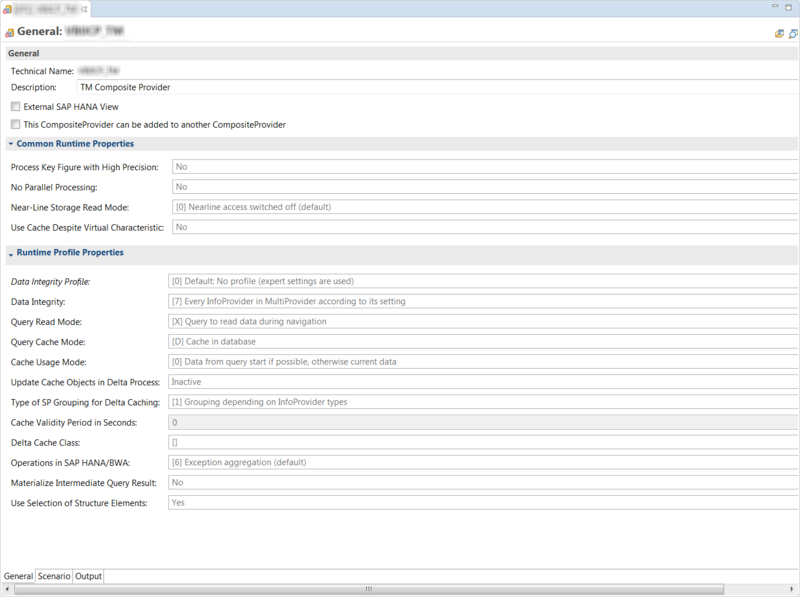 You can for example associate a field based ADSO with InfoObjects to receive master data and authorizations. Or if you have an InfoObject with navigation attributes, you can select them bei clicking on an InfoObject and select the context menu. This is how you create a CompositeProvider with Eclipse. This may change in future releases. If you have some questions, post them into the comment section below.